REAL ESTATE LAW — The real estate, land development and entitlement practices of Stahl, Davies, Sewell, Chavarria & Friend, LLP are broad in scope. Our Real Estate Law group is recognized for its representation of clients involved in complex purchase and sale transactions, financings, wind energy projects, leasing and subleasing matters. RENEWABLE ENERGY — Representing clients in the energy industry since 2000, we have some of the most experienced renewable energy lawyers in the country. Our energy project background includes assisting renewable energy companies in all aspects of the development, operation, finance, acquisition and sale of renewable energy projects totaling over 8.0 GW. CORPORATE LAW — Stahl, Davies, Sewell, Chavarria & Friend, LLP counsels businesses and individuals across a range of business areas. The firm’s corporate lawyers work on mergers and acquisition transactions including asset purchase, asset sale, and stock purchase agreements. CONSTRUCTION LAW — We counsel developers, property owners, designers and builders in all phases of project development including design and construction. We represent clients involved in large scale commercial, residential, and industrial projects and we develop transactional solutions to assist clients in managing risks associated with large construction projects. NATURAL RESOURCES AND THE ENVIRONMENT — We provide perspective and assistance on regulatory and transactional issues related to our finite natural resources. The firm’s attorneys possess practice backgrounds in environmental permitting, oil and gas law, and water law. TEXAS TAX LITIGATION AND CONSULTING — We represent clients in tax disputes involving Texas taxes, including sales tax, franchise tax, insurance gross receipts tax, inheritance tax, cigarette tax, tobacco products tax, mixed beverage tax, hotel occupancy tax, crude oil tax, natural gas tax, telecommunications tax, motor fuel tax, and motor vehicle taxes. TEXAS PROPERTY TAX INCENTIVES — We represent clients in negotiating property tax incentive agreements for new projects being constructed in Texas. Because Texas is considered a high property tax state, successfully negotiating and obtaining property tax incentive agreements can have a significant impact on a project’s viability and profitability. NATURAL GAS-FIRED POWER PLANTS — Our team provides counsel to clients in the development and financing of some types of traditional electric generation facilities, including natural gas-fired power plants. We strive to provide proactive & complete solutions for our clients. Stahl, Davies, Sewell, Chavarria & Friend, LLP is an Austin, Texas law firm recognized for handling complex matters in the areas of Renewable Energy; Commercial Real Estate; Texas Tax; Natural Resources & the Environment; Construction Law, Corporate Law, Texas Property Tax Incentives, and Natural Gas-Fired Plants. The firm has consistently found solutions for the legal and business challenges faced by its diverse client base. Three of our partners are Board Certified in Commercial Real Estate Law by the Texas Board of Legal Specialization. Our clients include Fortune 500 companies, multi-national corporations, closely held businesses and partnerships. 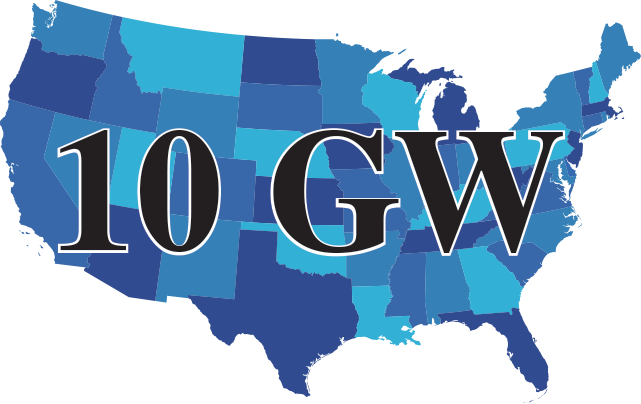 10 GW (and counting) – that’s how many renewable energy projects we have helped our clients develop. View our Renewable Energy Projects.